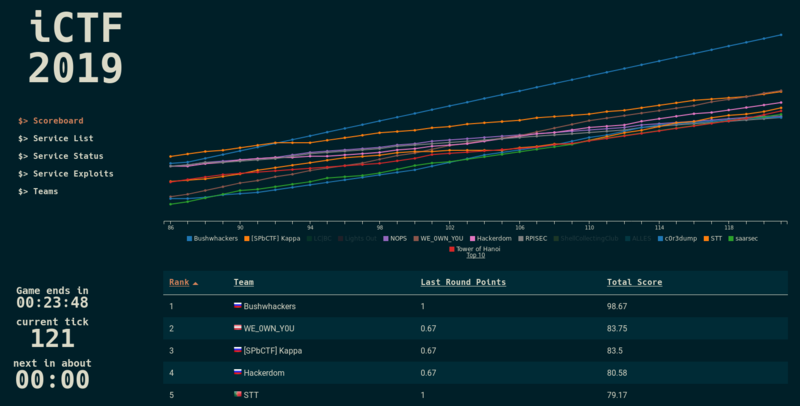 We participated in the iCTF 2019 and finished 2nd. 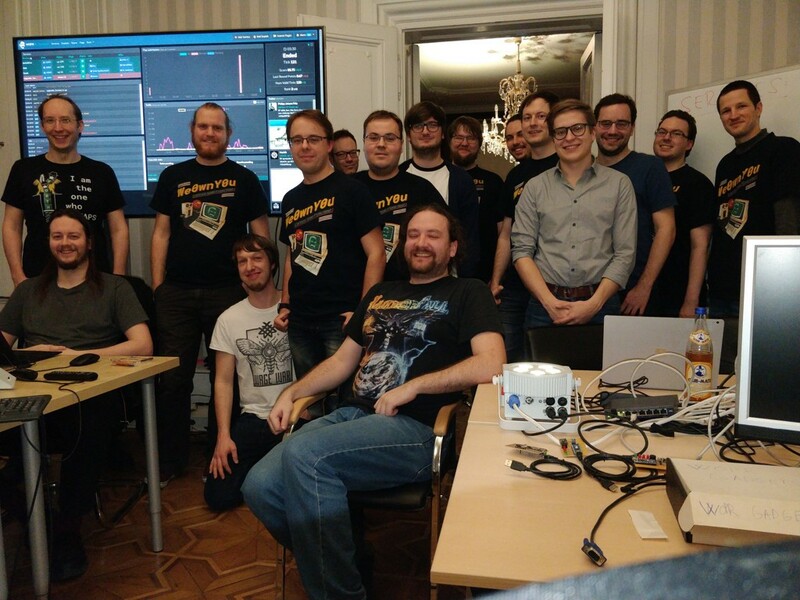 Last Friday we took part in this year's iCTF. The theme was "Race Condition", and like last year, the competition was open to everyone and hosted racing cars, err, vulnbox VMs were provided in the cloud 🌩️. We had a slow start to the race - it certainly did not help that we ran out of disk space on our network share as well as on the vulnbox, at the same time. Ooops, what fun. We even managed to steal a flag for a service - which was promptly disabled for not really being challenging. Later in the game we did a better job at keeping our services up and collecting defense points, steadily inching forward to crawl over the finish line in the 2nd place! Thanks to Shellphish for organizing the game and to SBA Research for providing a classy hacking location and keeping us steadily supplied with Mate, Beer & Pizza!